WAIST HIGH: You Better Recognize. 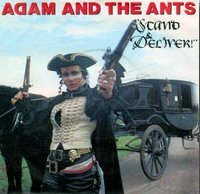 It was 25 years ago today that Adam and the Ants went to #1 on the UK singles chart with "Stand And Deliver." The song enjoyed a five-week run at #1.